“ZURICH TANZT”, which has been a well-known event since 2006, was also a magnificent spectacle in 2015. This event was initially organised by Tanznetzwerk reso in different cities throughout Switzerland under the name “Tanzfest”. Later, the cultural and creative city of Zurich placed great focus on dance and gave the new name “ZURICH TANZT”. So, from now on anyone who is interested can spend a long weekend in May swinging their hips, taking part in crash courses and/or just watching the countless performances at various venues in and around Zurich. Starting with an unforgettable prelude on the stage of just under 26 m wide in Zurich’s main railway station and the subsequent opening in the “Schiffbau” venue, the dancers then showed what they’ve got and got the party started together with many DJs from the Zurich club scene. 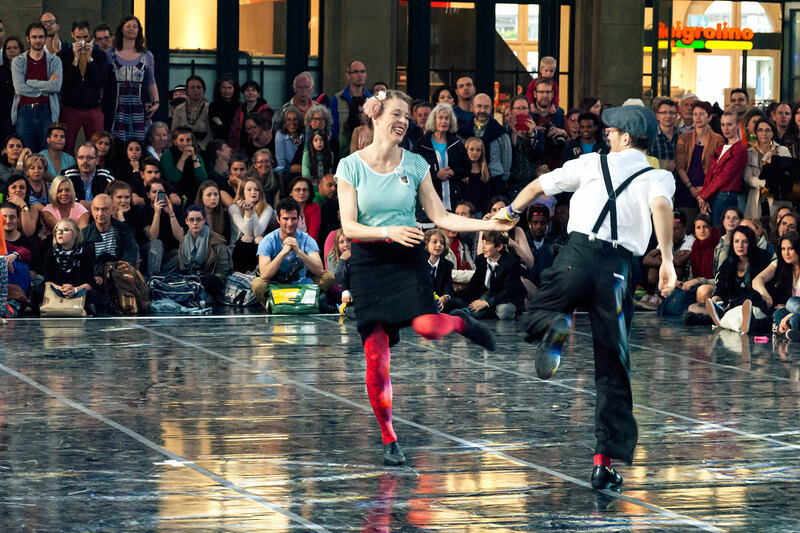 Overall, almost 16,000 enthusiasts celebrated “ZURICH TANZT” over the whole weekend. On Saturday night alone, around 3,000 people danced in front of the main stage in the main railway station. What was used this time? Ten SEQUENZA 10 elements each to the right and left of the stage filled the audience area with sound. 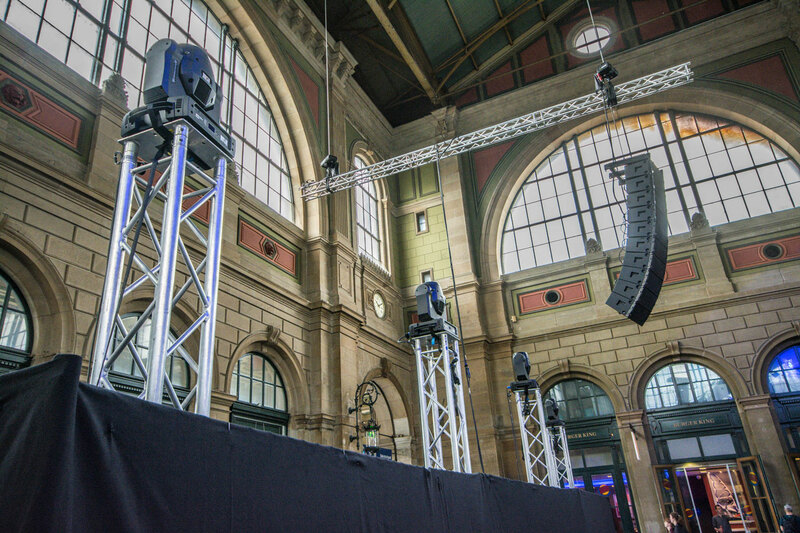 Mark Steinemann, from the company smARTec (audio technical organiser of the main stage in the main railway station), equipped the line arrays with different modules from the SEQUENZA series. Using the K&F’s own simulation software “CON:SEQUENZA+”, Steinemann first simulated the audience area and then positioned each of the 4 SEQUENZA 10 N and the 6 SEQUENZA 10 W units. These two elements have a different horizontal transmission angle (10 N 77° and 10 W 100°). As optimum bass extension, a total of 12 SEQUENZA 10 B double 15” subwoofers were used. Two GRAVIS 12+ N units were still used as centre sound systems and everything was operated by just under ten K&F SystemRacks with Lab.gruppen FP amplifiers and the K&F CD44 controller.